Nugget means something small but valuable or excellent. My son won the essay writing contest during the Math-Science Week this week. My daughter was commended by her teacher for being a ‘good writer’ when they were made to write a short essay about the GSIS Museum. My last nugget include this series of drawings created by my daughter. I’m really excited to share her artwork here. 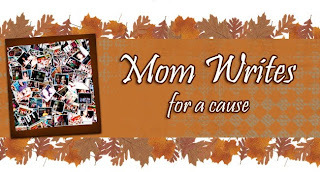 …and she also did the layout of my new header at Mom writes for a cause. Thank you sweetie-pie! Both of you made mommy and daddy proud. *My daughter wishes to enroll in a writing and art class. I’ll pray that we’ll have enough budget for that or we find a program/school with minimal fee. 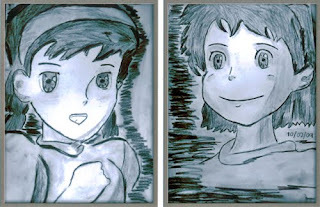 This entry was posted in Uncategorized and tagged achievement, drawing, essay, first place, positive nuggets on October 11, 2009 by Yami.